A band is a circular ring that usually maintains an even width all the way around but can be tapered. Bands can be plain, engraved, enameled and gem-set. When a band has diamonds set all the way around it is referred to as an eternity band. 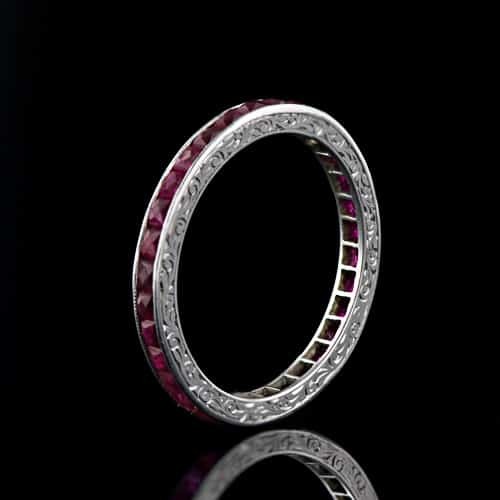 Bands often serve as wedding rings either alone or together with an engagement ring, and are worn by both men and women. Bands are made from gold, platinum, silver and, in the case of contemporary rings, other less traditional metals such as titanium and steel.